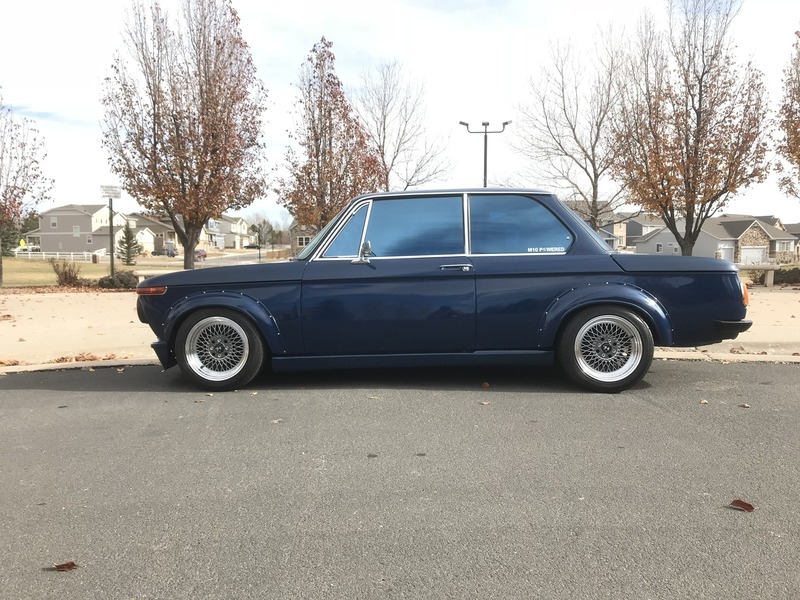 This 1976 BMW 2002 was sold new at Murray BMW in Denver, Colorado and remained in the region until the seller’s acquisition in March 2016. He moved the car to Newport Beach, California and has since added less than 200 miles to the odometer. 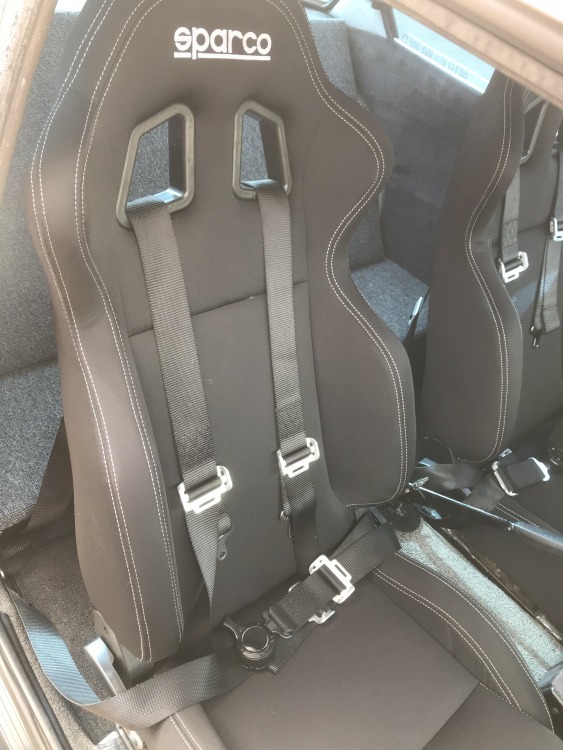 The car has been refurbished with a repaint in blue, a new interior with Sparco seats, and an upgraded suspension system featuring Bilstein and H&R components. 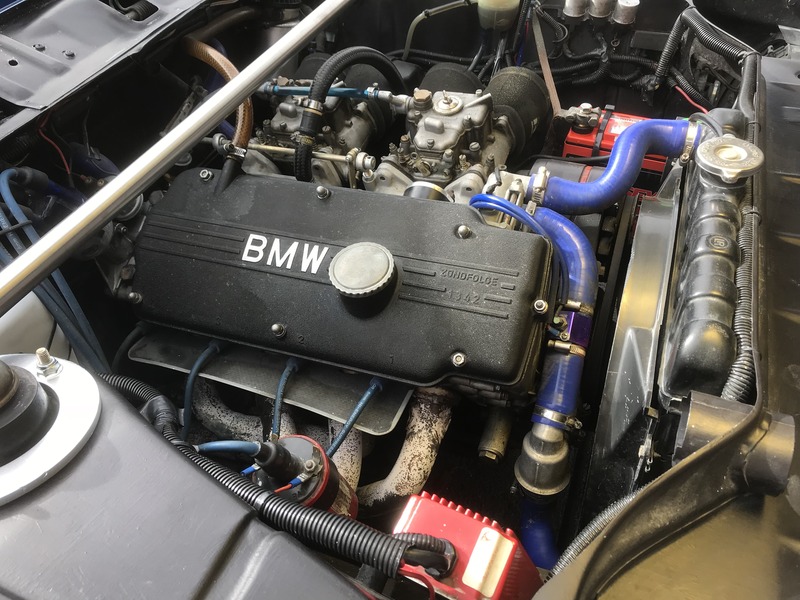 A rebuilt M10 four-cylinder was installed by the previous owner and features 90mm forged pistons, an oversized intake, dual Weber 45 DCOE carburetors, Ansa headers, and more. It is mated to a rebuilt 4-speed manual gearbox, and the clutch and slave cylinders have been replaced. 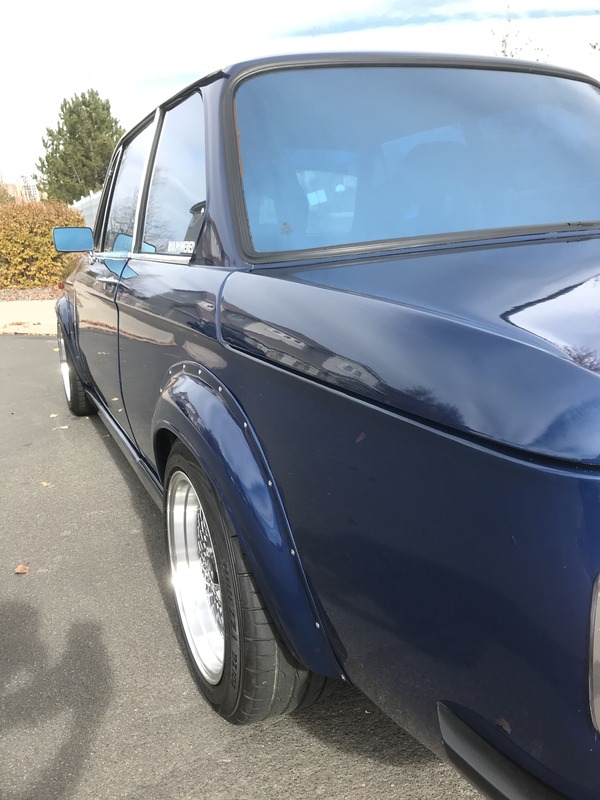 Records and receipts from the work are included, and the car is now being offered in California with a clean Colorado title in the seller’s name. In June 2017, a repaint was commissioned at a cost of $6k with one layer of clear coat applied over five coats of Deep Sea Blue. 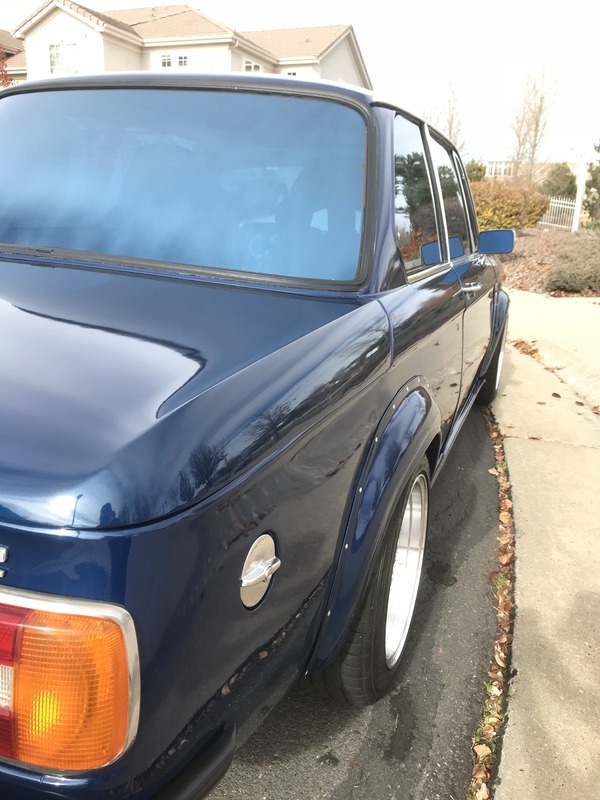 The Ireland Engineering fender flares, Turbo front spoiler, and custom fiberglass side skirts were painted to match. A slim rear bumper has replaced the larger US market version and has been painted black. The headlights, indicators, and taillights have been replaced with OEM units, and a locking gas cap was added. A new windshield was installed, and a pair of uninstalled wipers and spray nozzles come with the car. The wiring is in place for a washer reservoir. The side and rear windows have a blue mirrored tint that is said to provide 90% heat reflection. 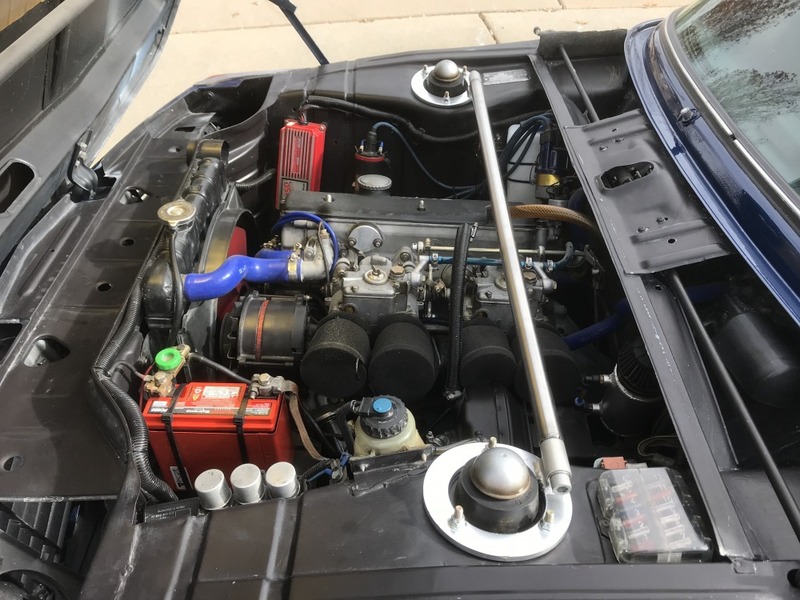 Suspension modifications consists of a Bilstein Stage II coilover setup and strut tower brace up front, while the rear utilizes Bilstein shocks and H&R springs. 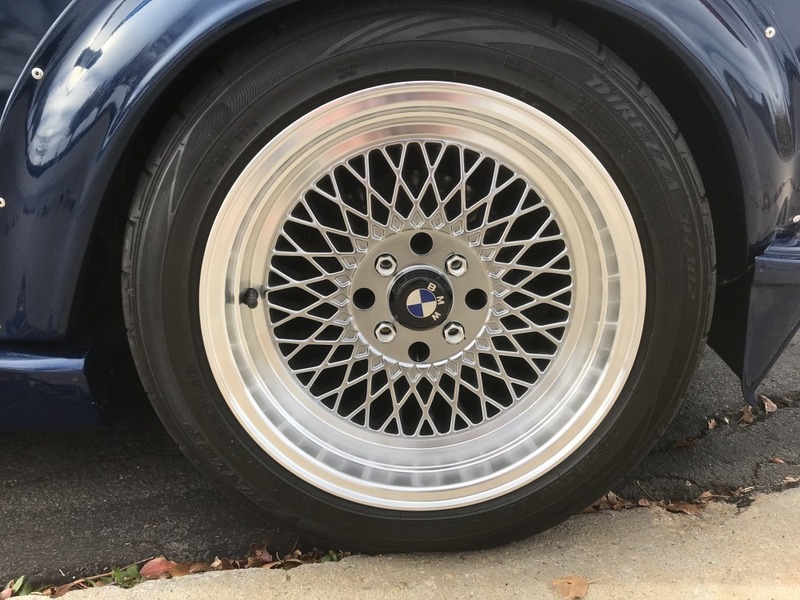 A set of 15×8″ F1R wheels with a +0 ET offset have BMW center caps and wear Dunlop Direzza tires with less than 4k miles of use. The turning radius is said to be limited due to the wider tires in front. 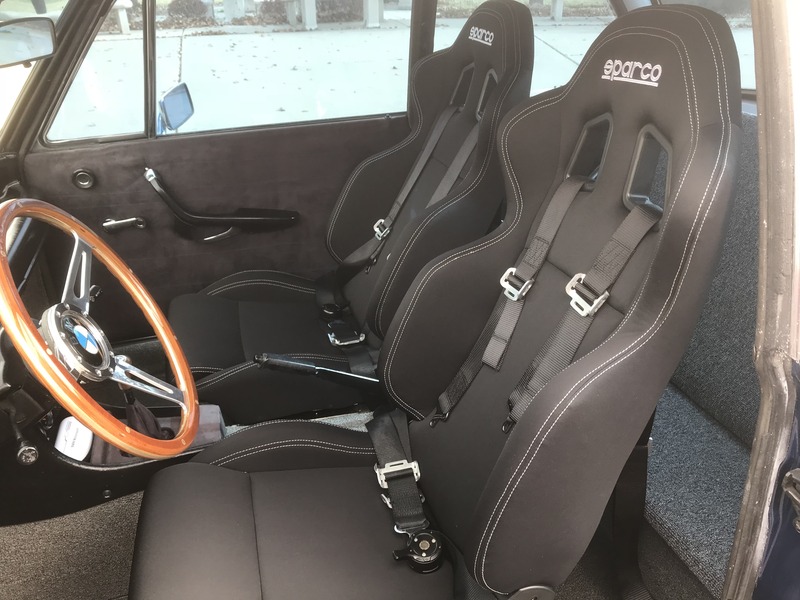 Inside, the cabin has been redone with new Sparco R100 seats that are attached to OEM adjustable sliders. The seats have reclining back rests and 5-point harnesses. 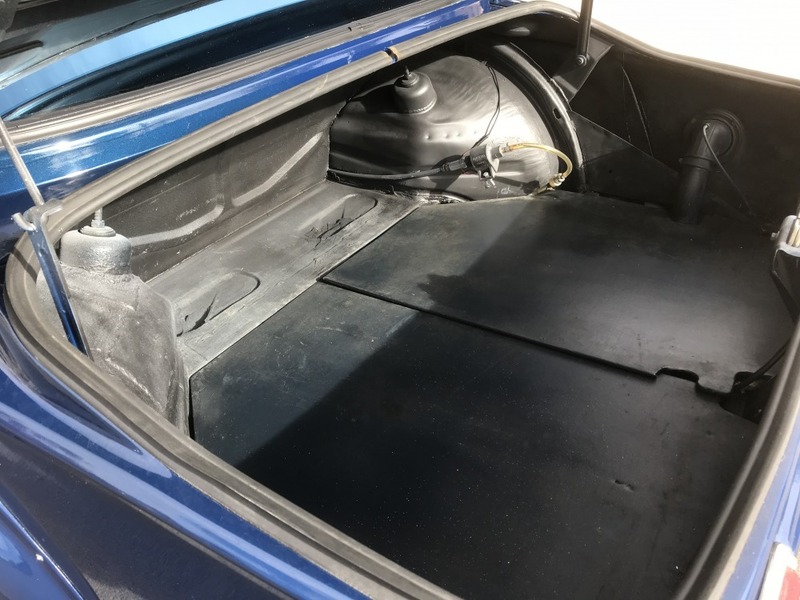 Additionally, new black door panels with blue stitching were added along with a new black carpet kit and white headliner. The rear seat has been replaced with carpeted boards. 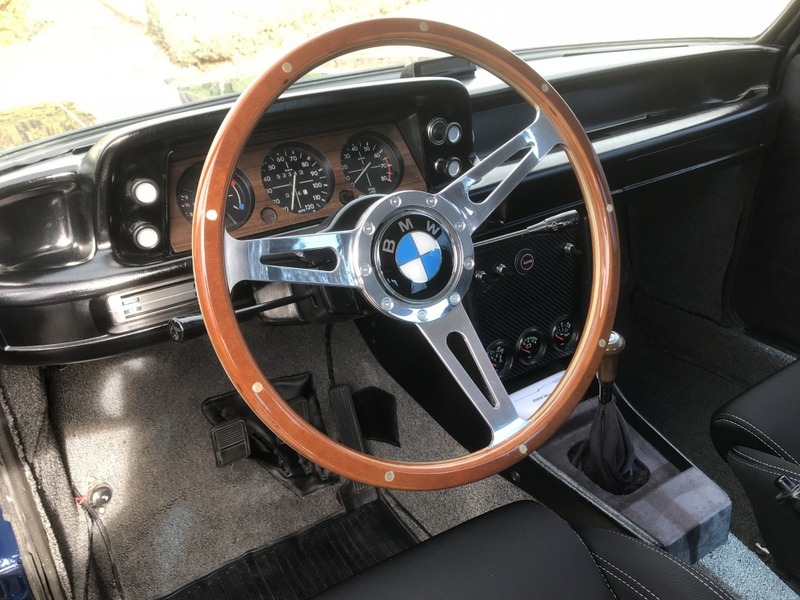 Records show the wooden Nardi steering wheel cost over $1k, and a new wooden shift knob was also fitted. A carbon fiber emergency brake surround and center console have been installed, the later fitted with VDO gauges, three switches, and a hazard light switch. The stock gauges in the instrument panel work, and the odometer shows 53,365 miles. There are no air conditioning or sound systems. 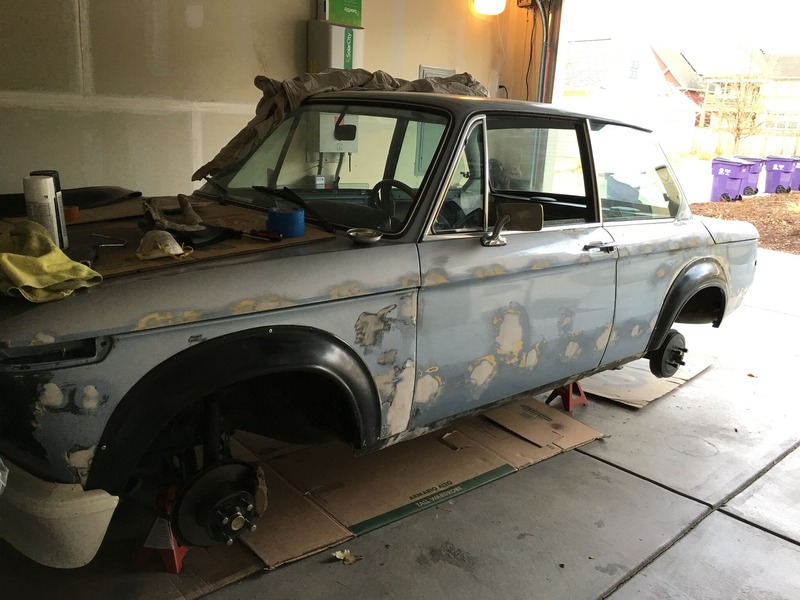 The 4-speed manual transmission has been rebuilt, new clutch and slave cylinders have been installed, and the differential fluid was replaced less than 250 miles ago. The Ansa exhaust system includes headers, and the car was last serviced two months ago in preparation for sale. The Holley fuel pump is said to make noise, though a new Ireland Engineering fuel pump is included that has yet to be installed. Sheet metal in the trunk has been painted black, and new trunk boards are wrapped in vinyl. Numerous receipts documenting the work performed under previous and current ownership are included. The seller notes the car has separate keys for the door, ignition, trunk, and gas cap. Good luck with sale! I built this car here in Denver in 2016. Photo of original. I bought it from the original owner. Guy I sold it to re-painted it in its current blue. I have been searching for this car since first seeing it during my commute on I 36 heading south one day probably about 2.5 years ago .. I have been dreaming about it since! Amazing car when I saw it rolling on the highway. Jackhossross, thank you. That would have been me. 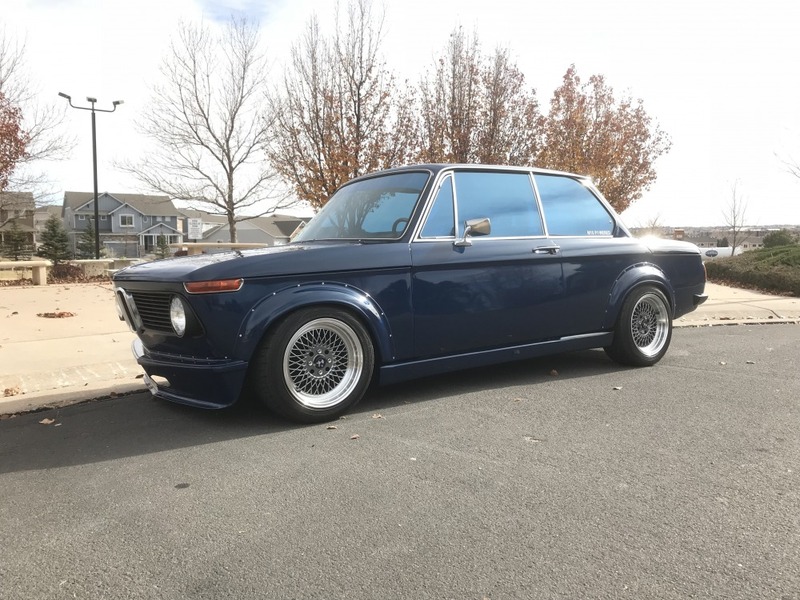 I built this car back in 2015-2016 and then drove it for about a year before selling it to move on to building my 1969 race car. 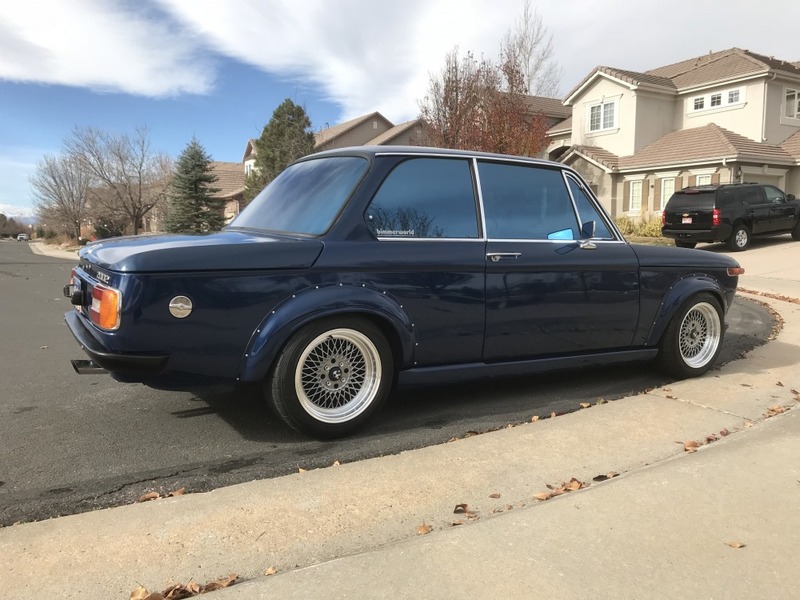 It is an awesome resto-mod, but I am bias! Too bad it made its way out to California. I’m glad you like it. I bought it in Colorado. The same effect caused me. I want the car to go to a good home.